At no cost to you, HealthCareBizSales.com provides you….. If you are thinking of selling your healthcare business or practice you need to engage a broker that has a history of success and a proven track record. You only get to sell your business once. 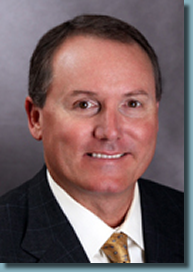 Our founder, Tom Jones, may be the most prolific medical business broker in the United States. Here at HealthCareBizSales.com, we don’t strive; we deliver. A business person who has a medical practice for sale is going to have a great deal of expertise in the medical field. At the same time, no one is an expert at everything. You may know how to run a medical business, but you probably don’t know how to sell one. This is where we come in. With over 25 years of experience brokering hundreds of healthcare business sales, we understand every aspect of the process. With our proven process we guide the transaction step by step and make sure that you get maximum value for your healthcare business or medical practice. We will conduct an in-depth, no obligation valuation analysis so that we can accurately determine the market value of the medical facility or medical practice that you would like to market. Since we have brokered hundreds of healthcare business transactions, we have refined our valuation techniques. The sale is structured to attract the desired demographic, and we confidentially network the listing. Though we maintain confidentiality, we also have the ability to aggressively market your company. The size and scope of our reach is a very important part of this equation. When you have medical facilities for sale, you want to be able to reach out to a broad pool of potential buyers. HealthCareBizSales.com is a division of Transworld Business Advisors, which is an international network of hundreds of business brokers. As specialists who assist people that have healthcare businesses for sale, we can provide you with focused attention. At the same time, we have access to this huge international network, so you get the best of both worlds. Personalized service coupled with resources that have been developed by the largest business brokerage company in the United States. If you have a healthcare business, a medical practice, a medical office or a home healthcare business that you might want to sell, we can make things easy for you every step of the way. Call us right now at 754-224-3111 for a no obligation consultation that can result in you understanding our process and how to get best possible value for your medical business.